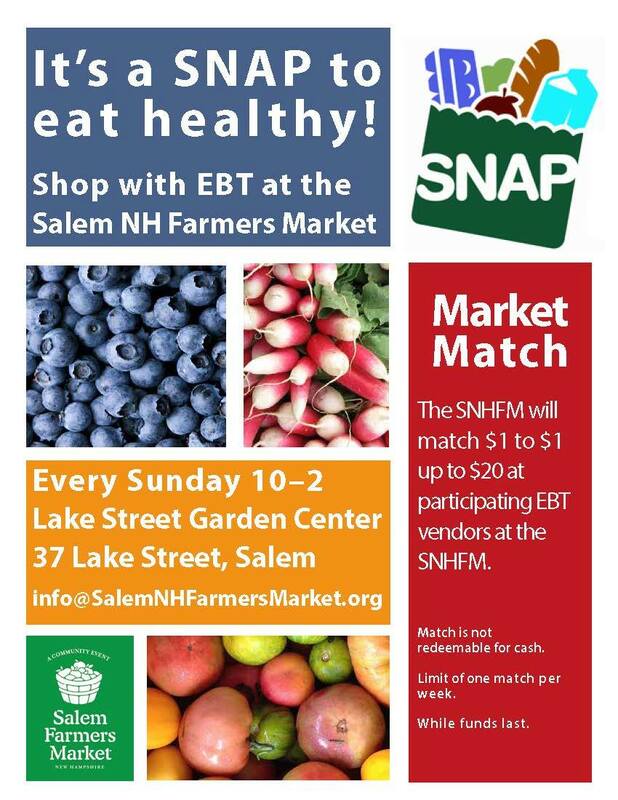 As mentioned in my last post, the Salem, NH Farmer’s Market accepts SNAP/EBT on eligible purchases. Well. not only that, but they currently have a program where they will match SNAP/EBT usage dollar for dollar up to $20!! Spend $20 in SNAP/EBT and get another $20 to spend at the market! The program continues while funds are available. Can’t make it to Salem? You can find a list of Farmer’s Markets throughout New Hampshire that accept SNAP/EBT here. Just note that not all are open in the winter.